I’m going to make a very big call here. Cinque Terre, in the North of Italy, is literally the most beautiful place I have ever been. And I have been some pretty beautiful places. Personally, I think Cinque Terre appealed so much to me because it combined everything I love in one place. You have the beautiful Mediterranean, mountain views, gorgeous vineyards, fishing boats, and best of all, a lot of little hidden gems, thanks to the Italians habit of putting things in random places. 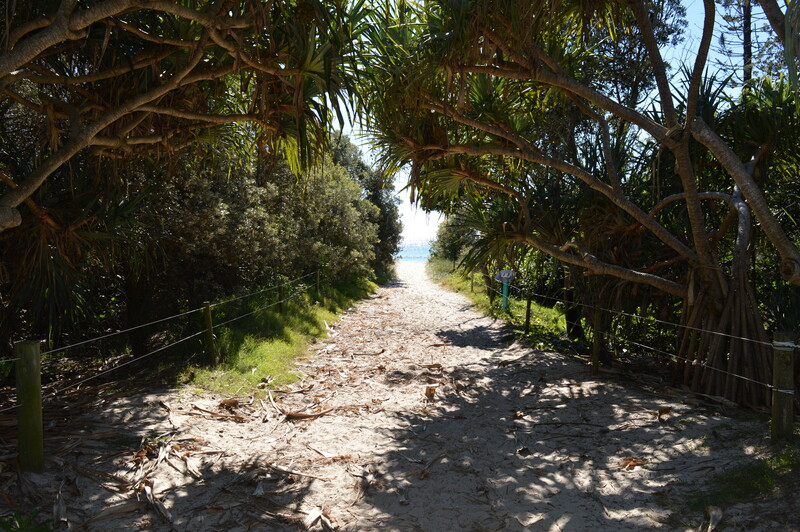 Australia is famous for its beautiful beaches, and Brisbane is a city fortunate enough to have a lot of them close by. 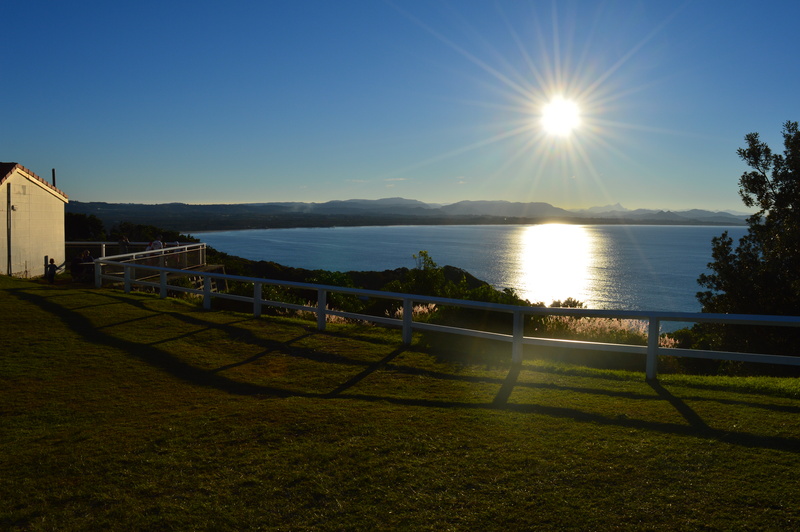 A couple of months ago, I made the trek down to Byron Bay to see what it was all about, and I was most definitely impressed. It is around about a 2 hour drive down down the East coast from Brisbane to Byron Bay, into Queenslands neighbouring state of NSW, so long as you keep your wits about you and avoid peak hour at all costs. If you’re planning on driving down around 5 on a Friday, you can expect that two hour drive to be more like a three hour drive, and very, very slow. 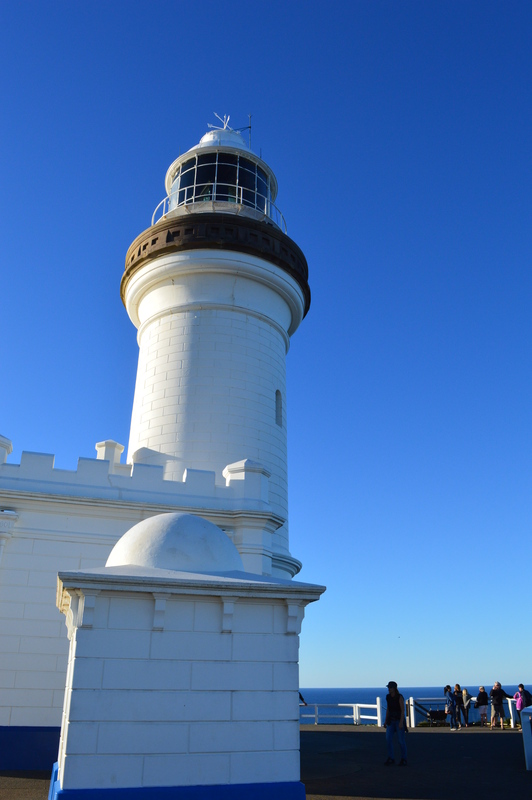 But even if you have to drive three hours, it’s worth it to check out what Byron has to offer. Do yourself a favour and if you are visiting Byron, give yourself at least one night there, it is very much the kind of place that backpackers plan to spend a week, and end up there for months. The kind of place you can fall in love with way to easily. The vibe of the town is extremely chilled out, and you get the feeling that anyone who is in a hurry is definitely not a local. Organic cafe’s line the streets and almost every door remains open, allowing amazing aromas to spill onto the street and entice potential visitors to follow their noses and stomaches. Amazing as the food and coffee is, it is not the main attraction in Byron, typical of an Australian costal town, the main attraction is, of course, the beach. 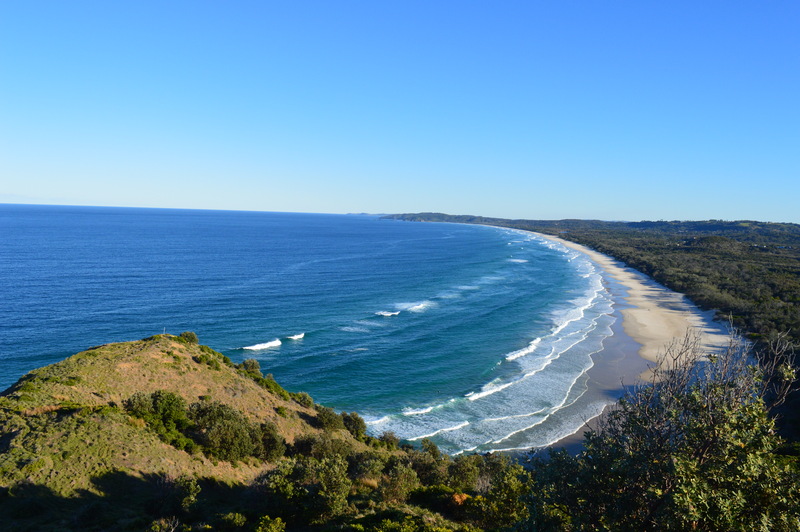 Golden sand stretches between coastal cliffs, and is staunchly guarded by the Byron Bay lighthouse, the crisp white figure is recognised as the most Eastern point of the Australian mainland, and offers a breathtaking view of the Bay. Byron offers a huge amount of coastal walks, some of them up very steep hills, which are definitely on my list for my next winter visit there. 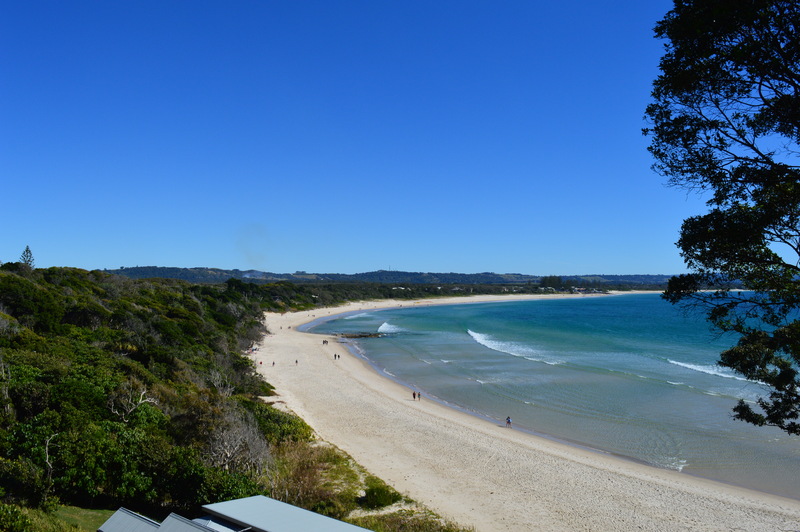 If you aren’t hoping to swim, it is worth a visit to Byron in winter, the views are just as spectacular and the walks a little easier, but be warned, it will be cold, especially at night. Cold though, for an Australian, those of you from a little further North (ie. in the hemisphere above) will probably not even notice. But for this Australian, summer is the time to visit Byron, to float around in the water and dry off in the sand, maybe with a beer from one of Byron’s many microbreweries. (Specifically, Stone and Wood Pacific, but you can read more about them in the coming weeks). So if you are visiting Brisbane, and have a couple of days to yourself, Byron should definitely hold a space on your “to do” list.